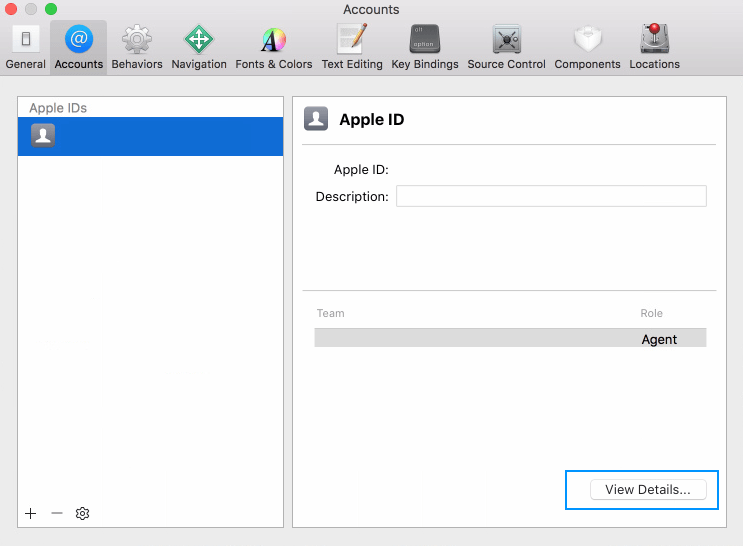 In order to publish your game to iTunes you’ll need an apple developer account first. Please see below what’s needed. There are a few options available for the Apple Developer Membership. If you want to learn more, please see Apple’s Support page. Then choose your wished membership and enroll here. Just scroll to the wished membership and click on “Learn about enrollment”. Once you have finished the enrollment and paied the fee, it may take 6-24h till your account goes live. You’ll be notifed by Apple then. For all further steps of this guide you must have an active membership for Apple Developers. Otherwise you will not have access to the linked pages. 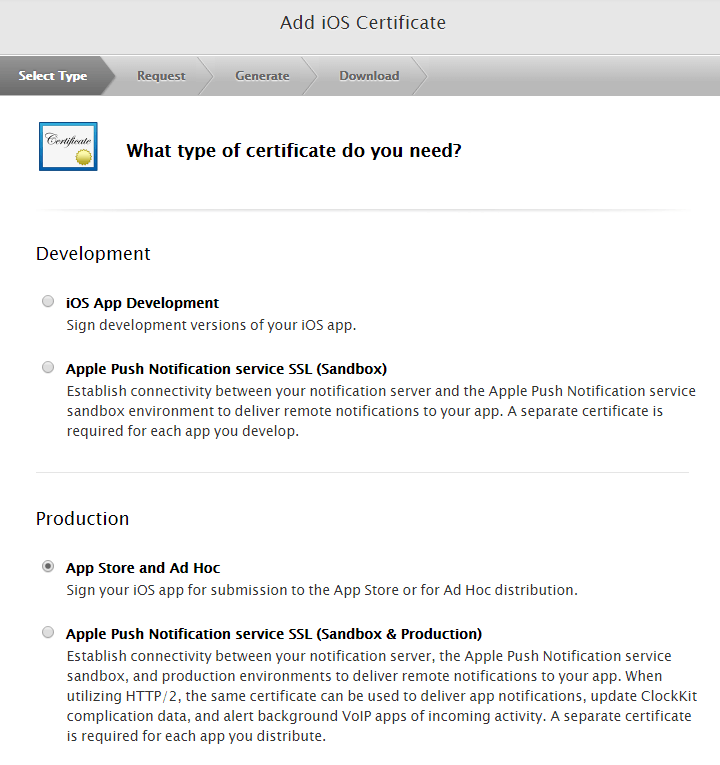 There are two types of certificates available, one for Produktion (uploading your game to the store) and one for Development (in order to test your game without the iTunes Store). 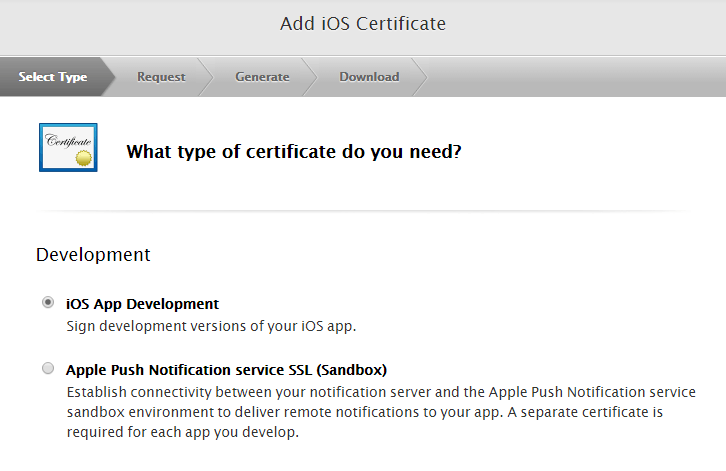 In order to create and manage your certificates, please visit your Apple Developer Account by clicking the button below. Befor you can start uploading your apps to the store, you going to need at least one certificate of each kind. The following guides will show you how to create them. But note, you must perform those steps on your mac computer! 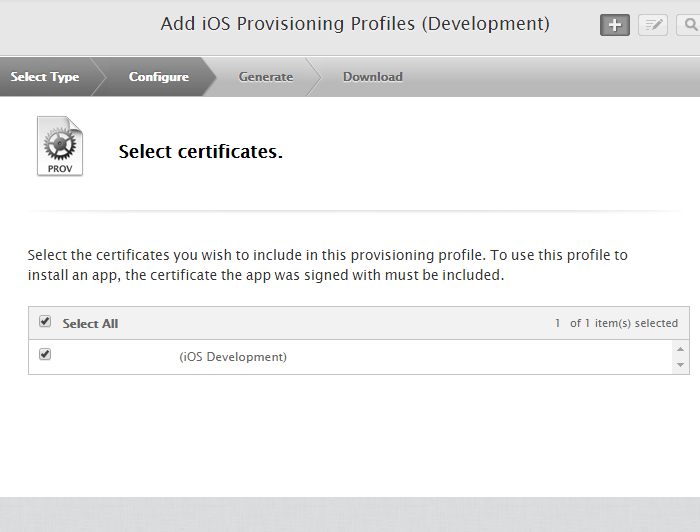 Select the “Development” tab in your certificate overview and click on the “+” symbol in order to add a new certificates. 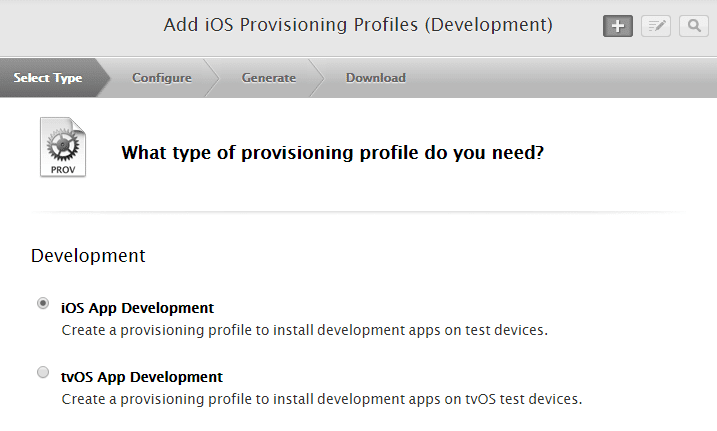 Then select “iOS App Development” and click on continue. 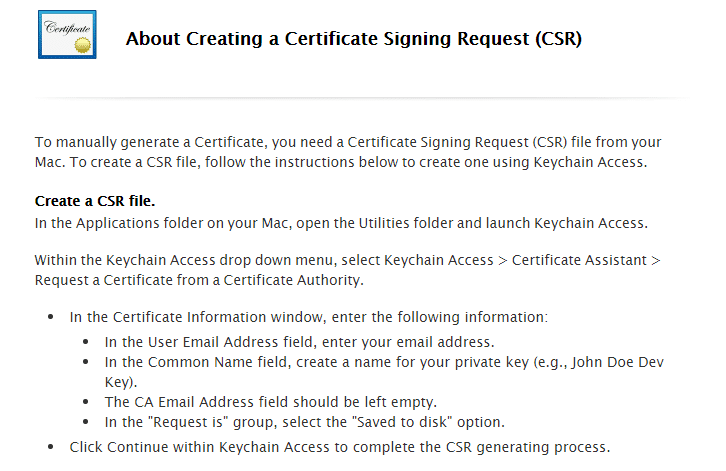 Then follow the instructions and create the “CSR” file. After you have created this file, upload it in the next step. 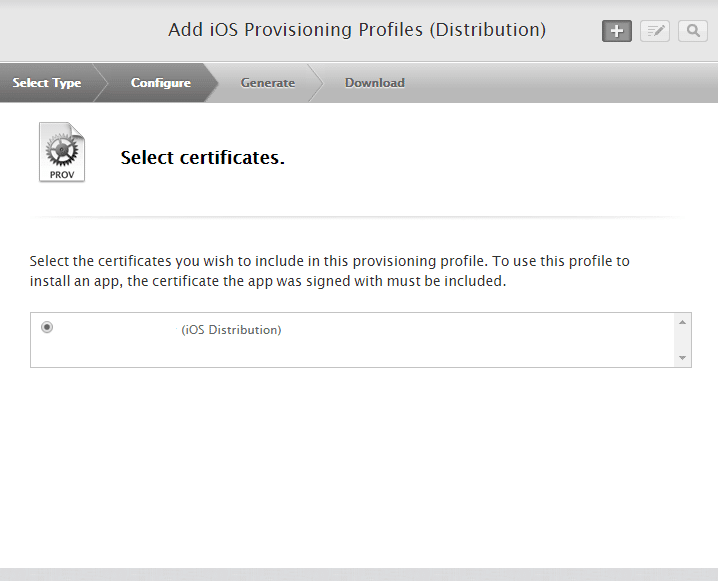 Then the platform will generate your certificate, which you can download afterwards. This basically works the same. The only diffrent is, that you have to select “App Store and Ad Hoc“. 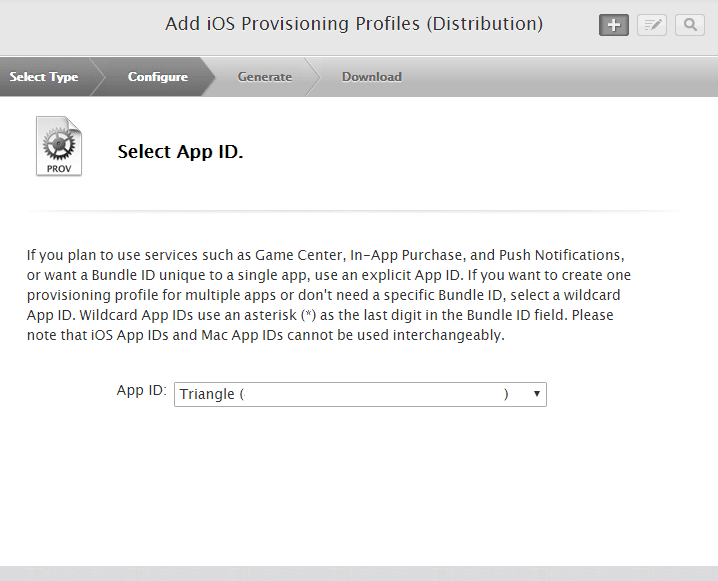 Identefiers must be created for each app you want to upload to the store. Those identifieres will later connected to your app submission. 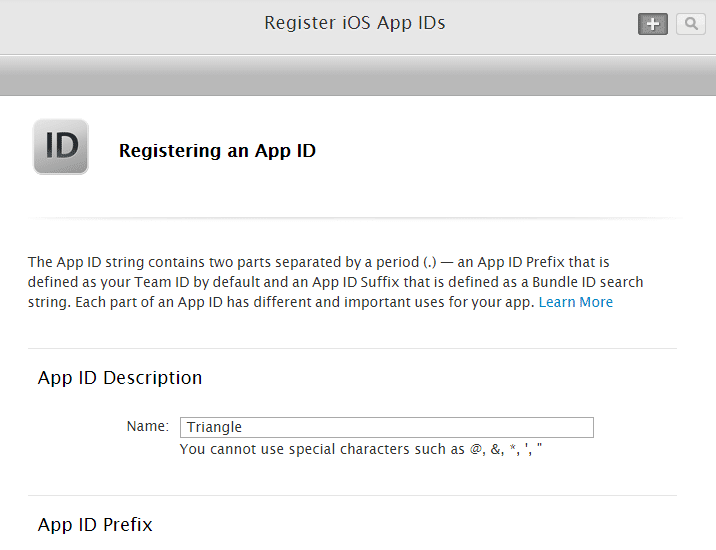 In order to create an identifier, select the “App ID” tab and click the “+” smybol. This can be anything. It’s just needed to identify it later. I recommend you to use the app name. My next game is called “Triangle”, so I add this name. This value will be generated automatically. 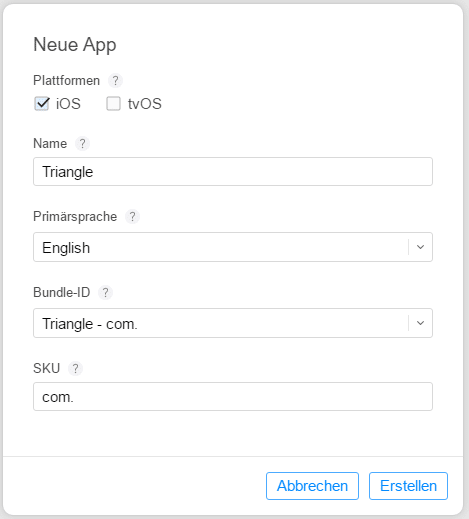 Choose here “Explicit APP ID” and enter your Bundle ID. The set Bundle ID must match the one you used in your Cocoon.IO iOS settings! 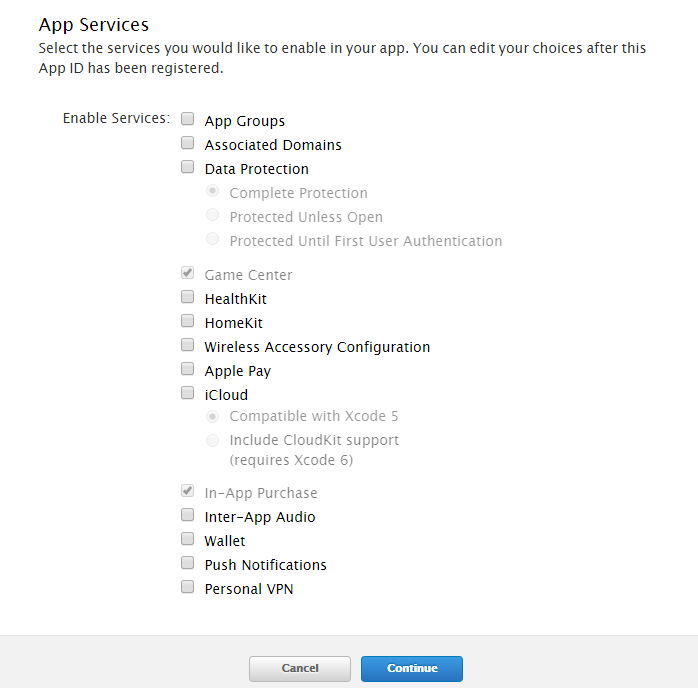 Select the services you want to use with your app and click on Continue. Then review your information and click on Register. After that, your new identifier will be added to the list. 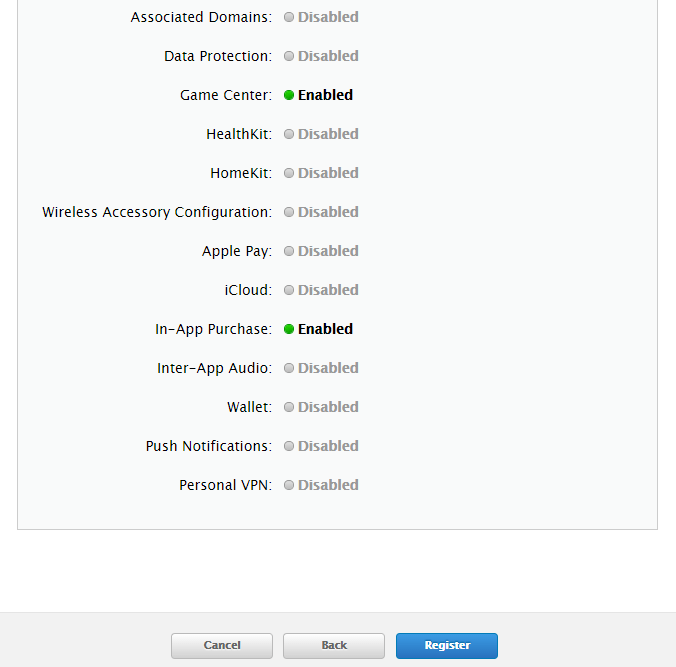 In this section you can register your Apple Devices as Test Devices. In order to do so, click the “+” symbol. 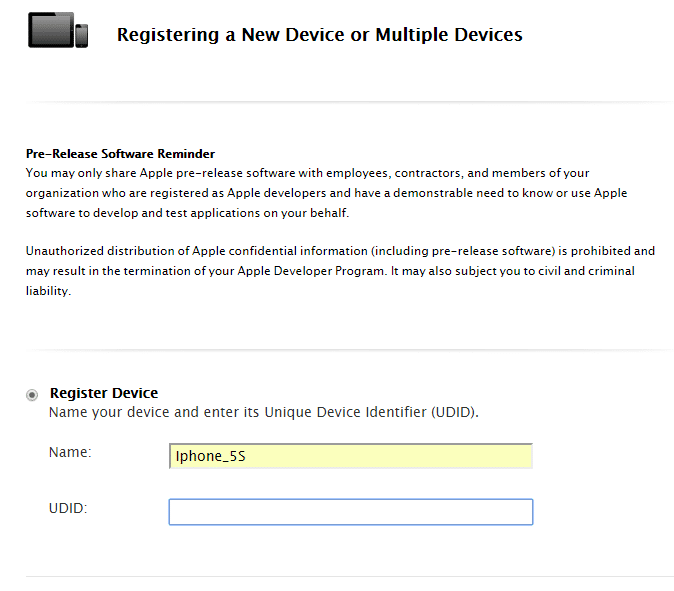 Enter a name to identify your device later and the UDID of the device. In order to find out the UDID of your device, connect it to a computer running iTunes. Then click on the serial number till the UDID shows up. Copy this number and add it in the corresponding field and click on “Continue“. Those profiles are needed to sign your application. 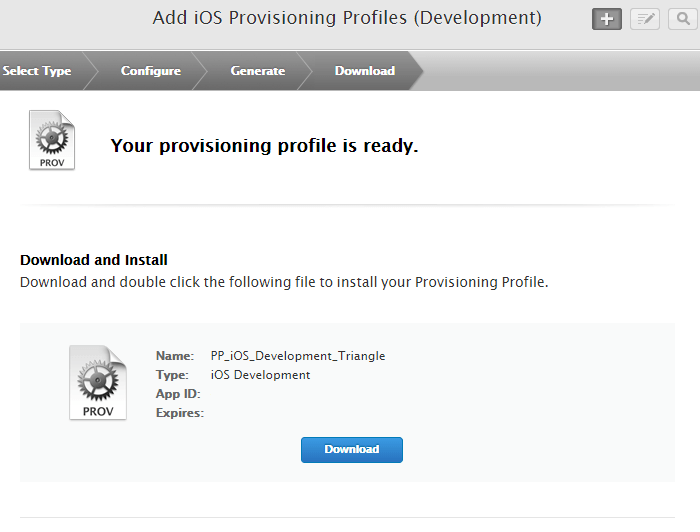 Select the “Development” tab in your Provisioning Profiles overview and click on the “+” symbol in order to add a new Provisioning Profile. Then select your App ID and click on Continue. 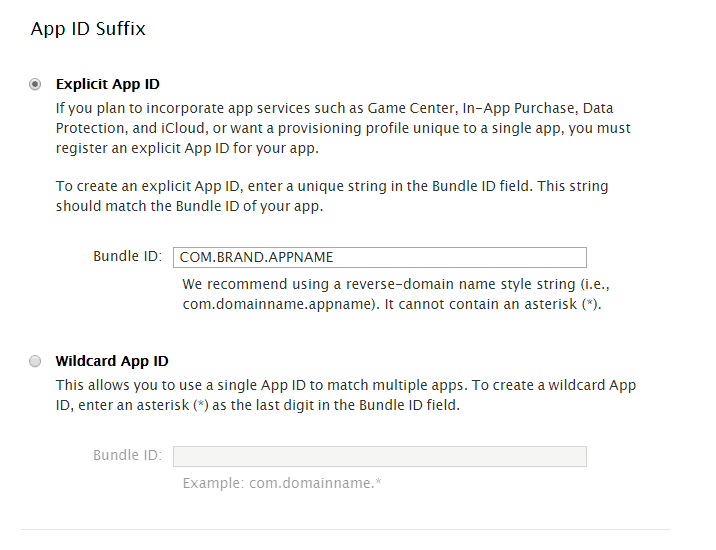 The Wildcard can be used for any APP ID, but the one associated with an APP ID can only be used for the chosen APP ID. I recommend to create a PP for each APP ID and one WildCard PP. 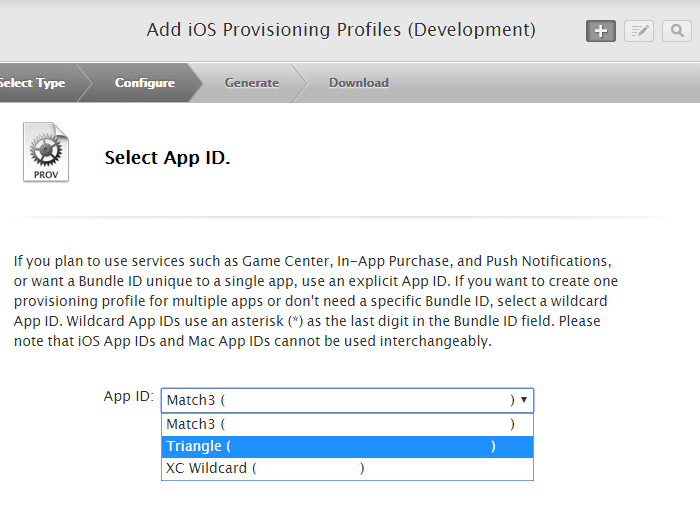 Basically you can use the WildCard for every APP ID, so it’s the easiest to only add an Ad Hoc and an App Store Wildcard PP. Then select your Development Certificate and click Continue. Then the device(s) you want to use for testing and click on Continue. Give it a proper name in order to identify it later, then click Continue. 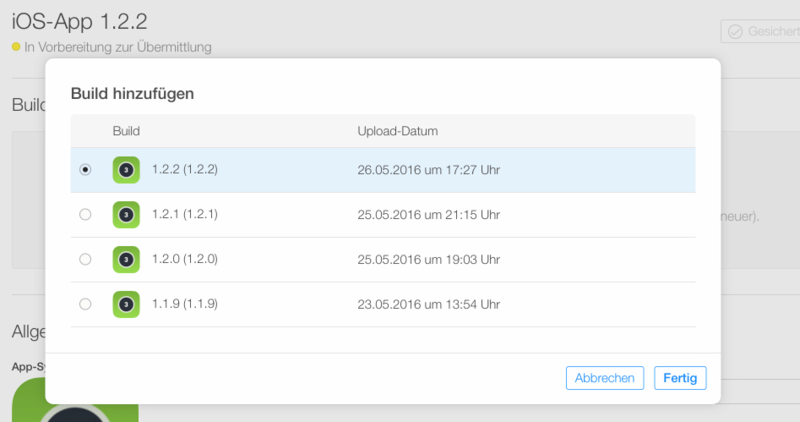 Now you can download it, save it and install it on your Mac or/and upload it to CocoonIO. This basically works the same. 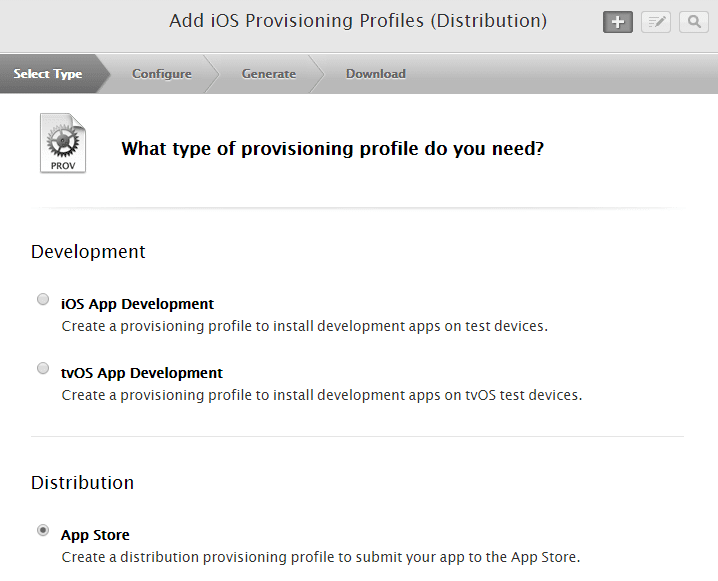 The only diffrent is, that you have to select “App Store” and “Ad Hoc” (yes, add two diffrent PP’s). Then select your wished APP ID and click on Continue. Select your Production Certificate and click on Continue. Then give it a proper name and click on Continue in order to download your PP. Save it, install it and upload it to CocoonIO (if you want to). Then add a password. 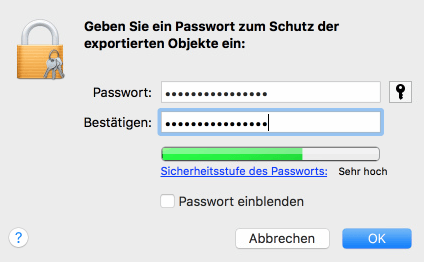 This password is the password you have to enter at CocoonIO or Intel XDK. So now you have added all you need in order to start uploading your first game to iTunes. In order to upload and manage your games, please visit the Itunes Connect Dashboard and sign in with your Apple ID. Once you have logged in, you’ll see following dashboard. Firstly I want to describe all the shown icons (and sections) above. Here you will find an overview of your apps. Moreover you can manage existing apps or upload new ones. Should be self-explaining. Here you can have a sight into the analytic data of your apps, like downloads, active users and so on. Data from your InApp or App sales. Payments from your InApp or App sales. It seems that iAd is not longer supported by Apple. Correct me if I’m wrong. Here can you manage your users and their roles. 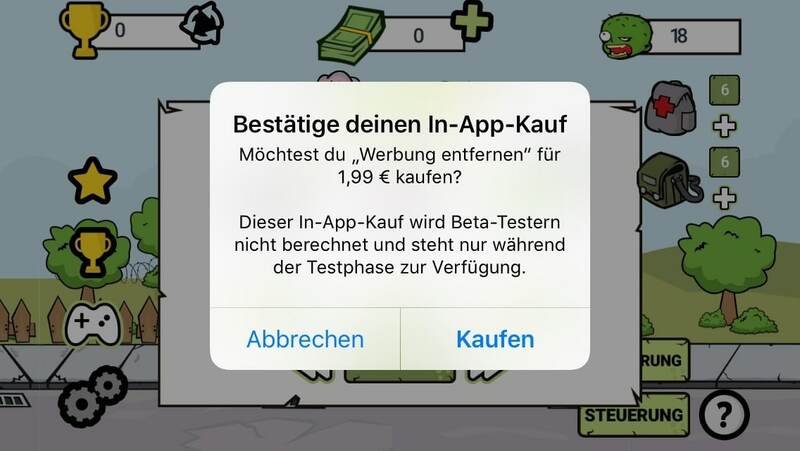 Moreover you can setup and add Sandbox Test Accounts there, in order to test functions like InApp Purchases and so on. This section is one of the most important one. Befor you start, fill out ALL needed information. 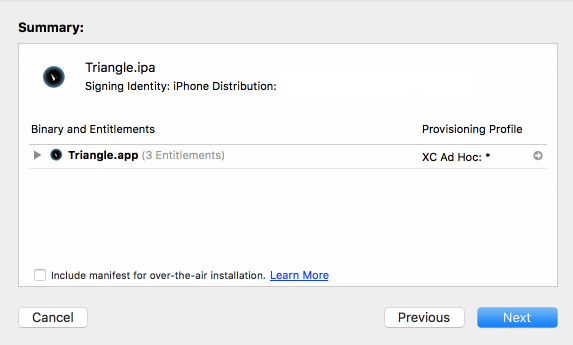 Otherwise some features like InApp Purchase aren’t available. But more later. Browse Apple’s Help page whenever you stuck on something. Before you can start uploading your game for the Apple iTunes Store, please complete all needed contracts. You cannot add stuff like “InApp” Products without setting up the Tax Contract! We offer a guide showing you how to build your games using Construct 2 and Ludei’s CocoonIO. If you are new to that, please visit the guide and build your first application for Android and iOS! Up to now Ludei offers the best way to get your mobile games to Android and iOS. Moreover Ludei is working hard to improve their platform and their services! So give it a try and register a free account here. There are two ways to upload your binary to the iTunes Store. Choose the one you prefer the most. 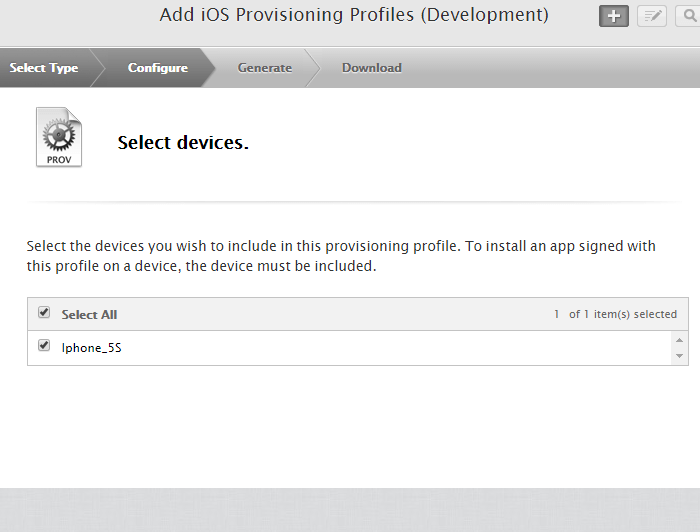 For this option, please deselect the iOS signning key in your CocoonIO Project. Then “Compile” your game in CocoonIO. 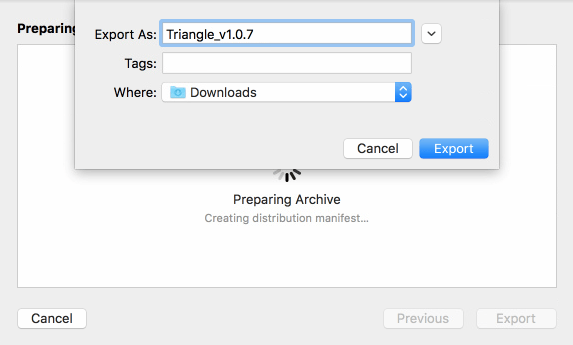 When the compilation has finished, download the iOS build from CocoonIO and unzip it on your Mac Computer. You’ll get a “.xcarchive” file then. 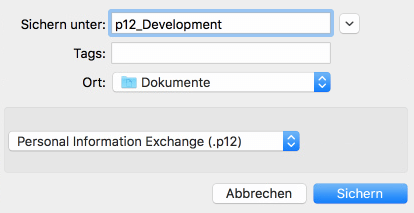 Double click the archive file in order to open it mit XCode. If you cannot see the archives, click on >>Window >>Orginzer, then the overview of your archives will be shown. 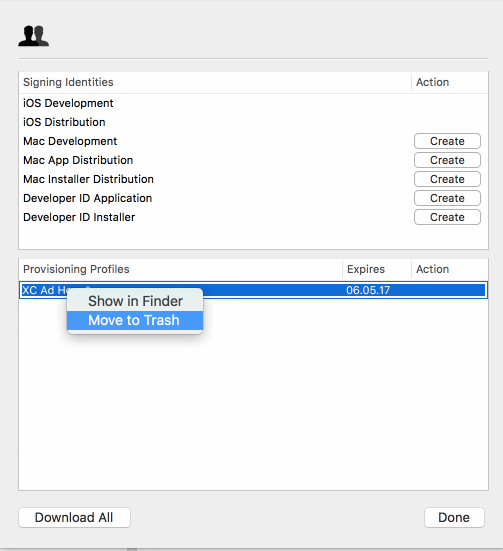 Click “Upload to App Store…” in order to upload this binary to your iTunes Connect Dashboard. 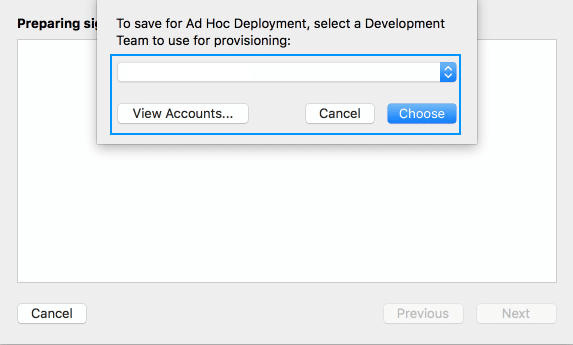 Select “Save for Ad Hoc Deploment” in order to install it via iTunes. Then click on Upload in order to start the upload (this may take a while). Note: The binary will be added automatically to the corresponding app (via the Bundle ID). Once the upload has finished, it takes some time till Apple has processed the file. You’ll get notifed via mail then. 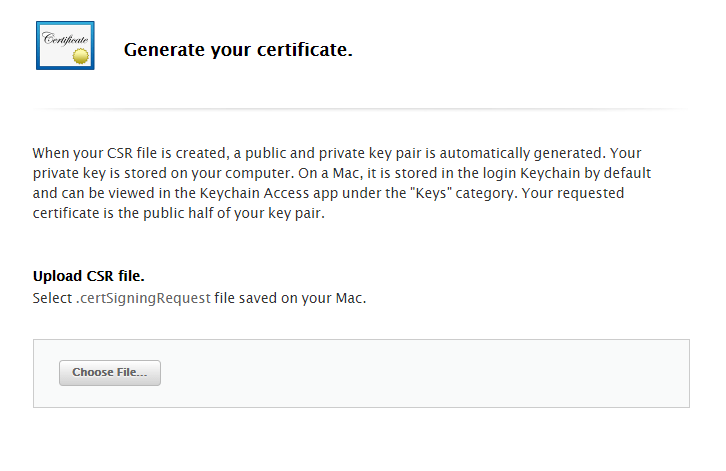 Once you got the mail that your file has been processed, you can select it for the submission or for the TestFlight. 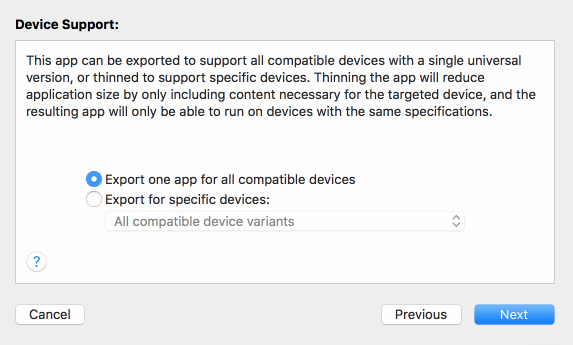 If you want to test it first on your Apple device, just click “Export…” instead. 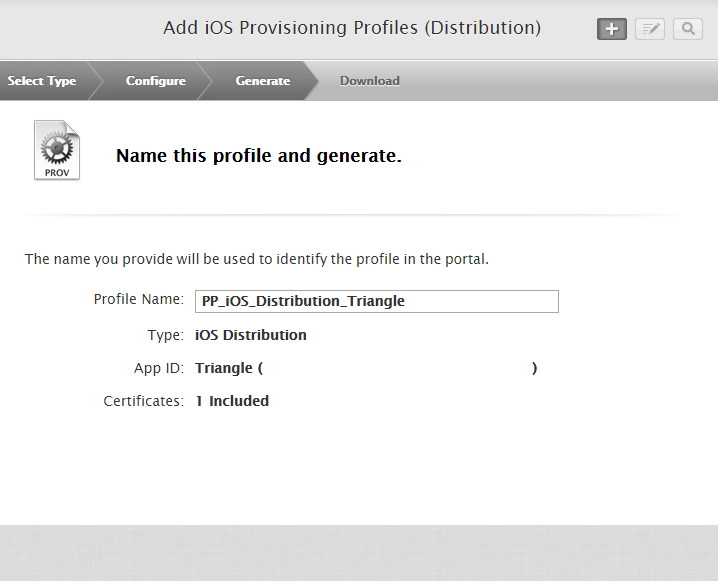 This will generate an .ipa file which you can install on your registred Apple devices via iTunes. Then select your Developer Account and confirm it by clicking “Choose”. Then unzip the package and double-click the .ipa file. This will automatically open it with iTunes. Connect your test device and install it. Note, all InApp features cannot be tested with an Ad Hoc installation. For this you have to use “TestFlight”, but more in the “Debug” section. 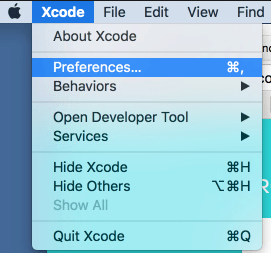 Please find the new guide for the latest XCode update here. 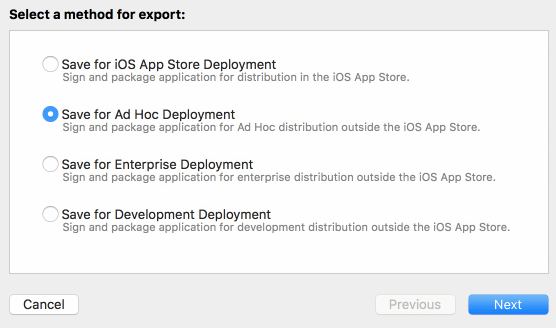 For this option please select your “Production – AppStore” certificate. You find a guide here. 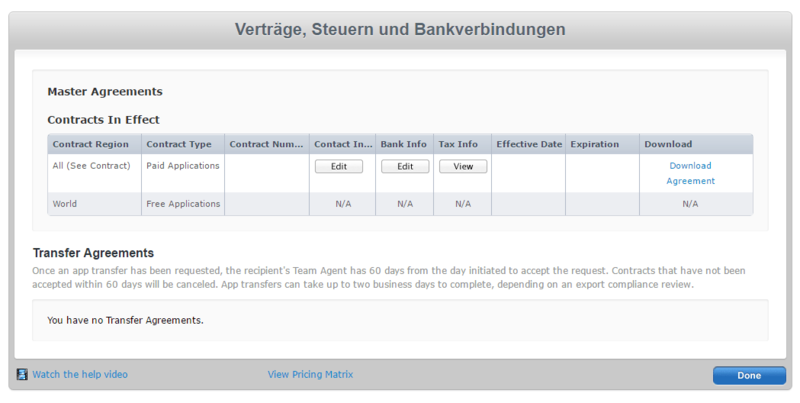 Finally we can start to add our application to the Apple iTunes Store. In order to do this, please click on the “My Apps” icon in your dashboard or click the link below. 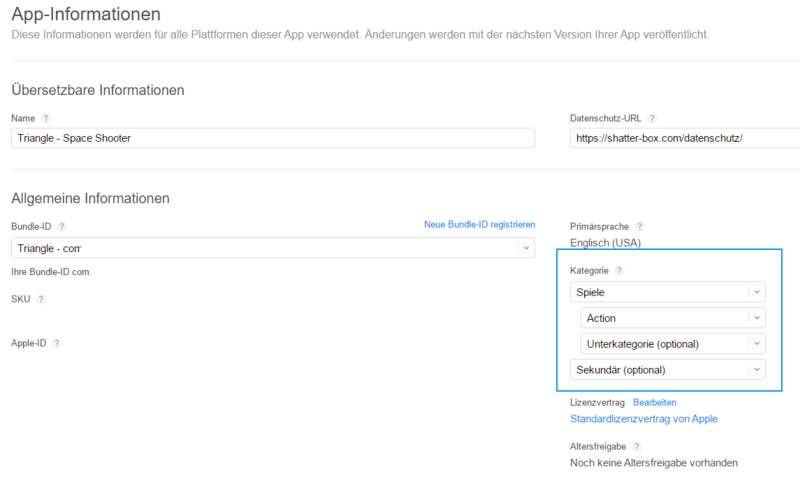 Then click on the small plus (+) icon in the header menu and select “New App” (“Neue App” in German). Now fill out all needed information for your new app. Then click on “Save” in the right upper corner of your screen. Then switch to “Price & Availability” and select the wished price for your app. You only can add paid applications if you have filled out the contract for that! If the option is missing, check out your contracts. In this section you can add features to your application. Add InApp Products to your game. Add a leaderboard and achievements to your game. Before you submit your app you should have tested it well! Otherwise you will lose a lot of time while waiting for a review of your app which will be rejected then. First download the iOS TestFlight app on your test device(s) or any other Apple Device. Then select your app in the My Apps Dashboard and select the “TestFlight” tab in the header menu. 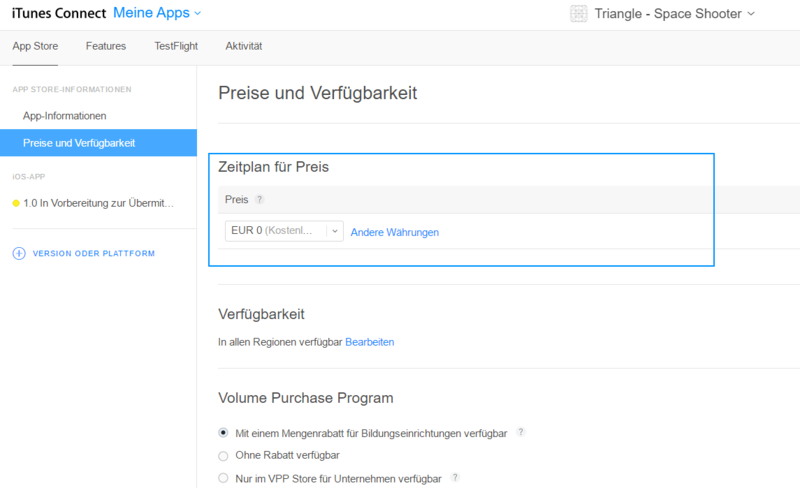 Select the build which you want to use for the TestFlight and then follow the assistance. The Export Compliance must be answered depending on your app! Mostly you can use “No” for games made with cocoonio, but if you used the “Encryption” feature, you have answer yes and go to the follwing steps. So double check if your application needs this do be answered with yes or no! If you feel ready, save and publish the TestFligt for your app. Once you have done that, all listed testers will get an email with a redeem code. 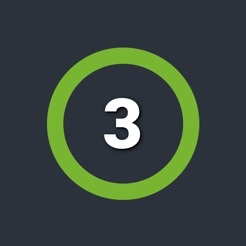 Use this code in the TestFlight application. Now you can test your game directly on your devices. 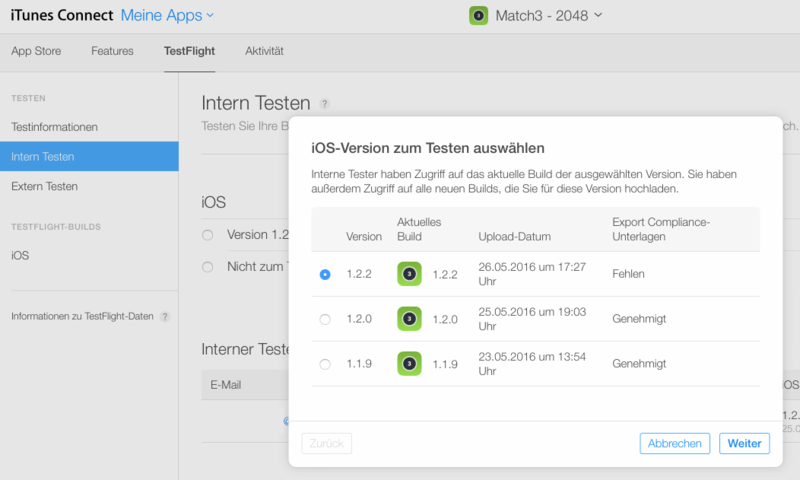 In order to test InApps and Game Center Features you need to go the way via Testflight. 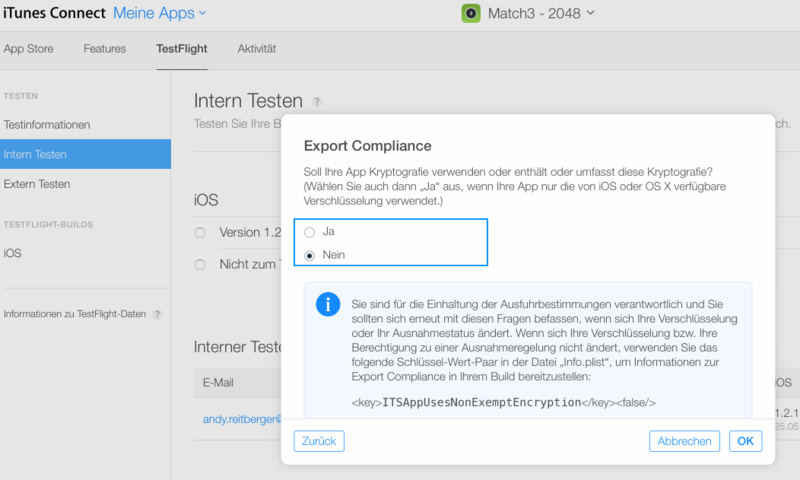 You will not be charged if you purchase an item from an app in Testflight! Now it’s time to prepare the first submission of your game. In order to do this, please click on the corresponding tab in the left-side menu. Upload here some screenshots of your game, but keep in mind that you have to upload screenshots for each display size! In this section you can describe your game. Moreover use descriptive tags, so that people can find the game in the store easily. Please note, no HTML-Tags are allowed in this section! Here you can select an uploaded build for the submission. Just click the plus (+) icon and select the wished build. For iOS the icon has to be a square and a png-file (recommended is 1024×1024 px)! The icon will be cropped automatically, so there is no need to use any templates to get “Rounded Corner” icons. Actually your Binary gets rejected if you upload an icon with rounded corners. Activate the GameCenter for your application (if wished). But note, you need to create the GameCenter first at the Features tab. InApp products don’t need to be added to the Submission. They are included automatically in the first submission. Those information are for the app review team from Apple. So provide your name and contact data. Moreover you can add a description. 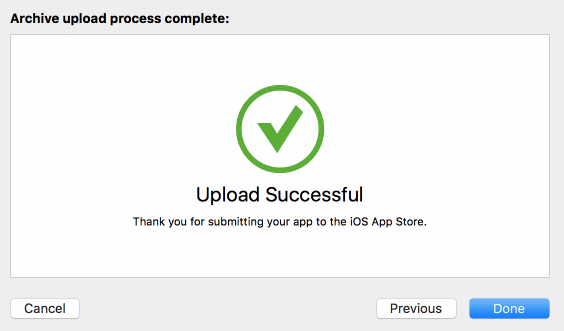 Once you feel ready click on “Submit to Review” and then your app will be reviewed by Apple. If you got lucky, your game will be available in a few days after submission. But the chances are high that your first submission will be rejected, so stay cool, fix the things which were the reason for the rejection and then submit a new binary. This guide was written for all newbies like me 😛 It took me very long till I knew how to publish my first application with Apple. So I decided to make this guide to help all others struggling the same then me. Or download them directly here. 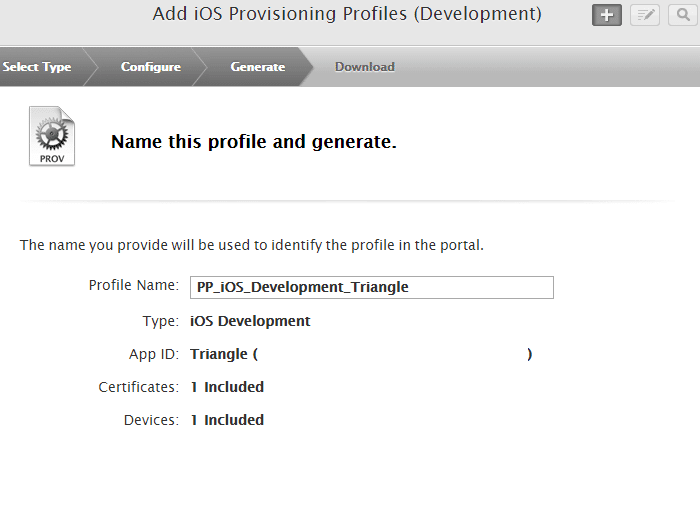 Hey Andreas great tutorial do I have to create a new Certificate and provisional profile for every new App I create? Thank you 🙂 there is no need to create one for each game, but you can handle it this way. You also can use the wildcard certificate for each game. Thank you very much for the continuing great standard of tutorials. I plan to use this one alongside the Construct 2 export to iOS. Is there any possibility you could make it in one tutorial for Construct 2 to Cocoon.io to Apple. Thanks for the detailed tutorial but what the hell is wrong with these people? It takes half an hour at most to upload to Google Play and 2-3 hours to get a new app approved and published, maybe half an hour on updates. Also, getting your app to testers is about 10 times easier. I honestly don’t think I’ll have the patience to go through with this but I’ll have to give it a shot. Please help me. I’m trying to compile in cocoon.io without having keys but this is returning a keychain error. When will be finished the tutorial. Thank you very much, I’m in great need of this. I am returning KeyChain error in compiling IOS. If you want to know, contact me via email. first of all: what amazing job you did here, congrats for that men! have you ever had this error with iOS phones when testing? the iPhone OS tested was with 11.x version, it could be an error from there? Thank you very much. I‘m glad that my guides are helpful for you. About your issue. I never have had such an issue. Does this dialog come up in the Developer App or in a live built? I recently have built an ios project and it‘s working well on my iPhone running ios 11. If your error persist, you can open a topic in my support forum, and I‘ll check the capx for you. Firstly I really want to thank you for the detailed informations. It is very helpful for me. Also I have a question about general App Store. 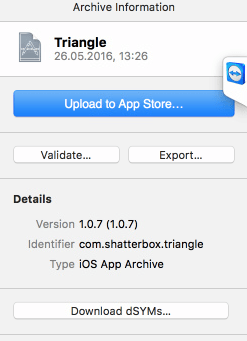 Will my address that I entered in developer account be shown in App Store when I released my games? Or will only my name be shown? I declared my home address so I don’t want my address to be public. about your question, no. Your address isn’t visible in the app store. At least I couldn’t see mine. Let me know if you have any further questions in account of the iTunes App publishing. Your tutorial shows both a development and production certificate being created. Do I need to create both of them? What’s the difference between the two? Hi Andy, thanks for your comment. 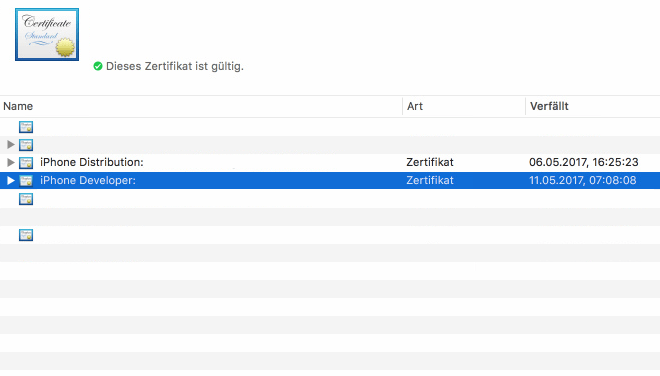 If you want to publish your game at Itunes you need the production cerrificate. 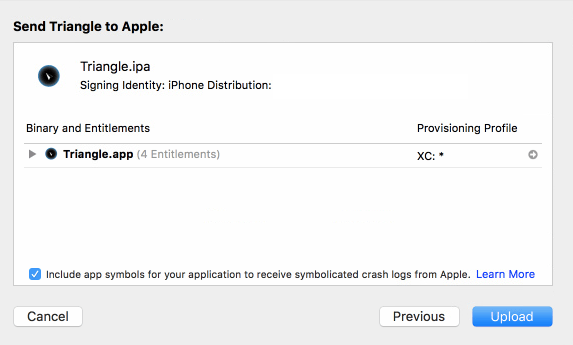 If you want to just test the ipa files on your registered apple devices, you can use the development certificate.